Rata Honey, back by popular demand! In New Zealand, we are fortunate to have a variety of native bush that is used to make beautiful honey in all sorts of different flavours. One of which is Rata Honey. “Our Rata has been sourced from the top of the South Island. It has a beautiful flower and is stunning when the season has a prolific flowering,” says Mountain Valley Honey co-owner, Nicky Elwood. Rata is a light honey, that is sweet in taste and easy on the palette. Mountain Valley Honey don’t have any hives situated near Rata areas, but they listened to their customers and contacted a fellow beekeeping friend about sourcing his batch for the season. “His company has the same beekeeping practices as us and produces a fantastic Rata Honey,” says Nicky. 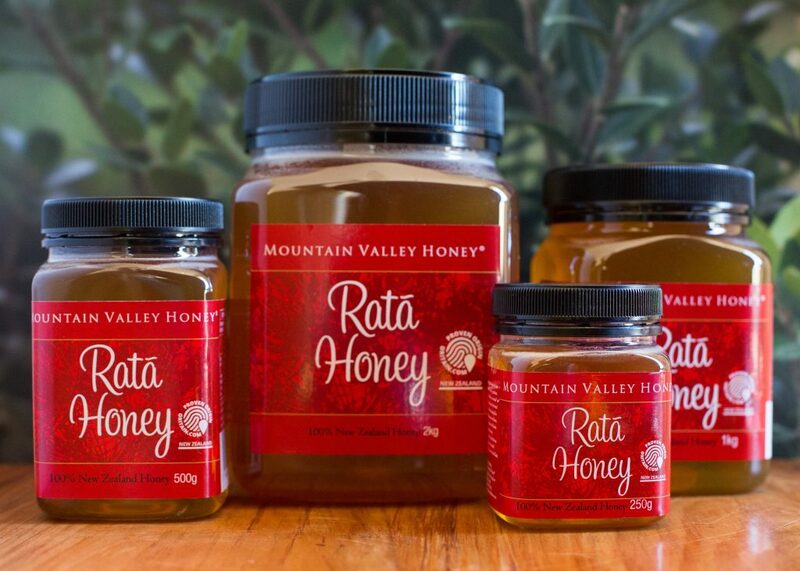 When asked what Rata Honey is best used for, Nicky says it’s simple things that brings out its delicious flavour.